Mike Brantley returned to New Orleans, his native home, during Hurricane Katrina and, at the instigation of his wife Susanne, planted roots there a year later to pioneer Communitas, an ecumenical order of missional communities affiliated with InnerCHANGE and CRM. Up till this point, Mike had wrestled for years, as an Army officer and a pastor in various church contexts, with the fact that conventional models of “church” and “mission” simply weren’t reaching people in post-Christian Western culture. Influenced by the ancient Celtic monastic missionaries, the monastic orders, and a handful of people and communities involved in contemporary neo-monastic, New Friar, and missional movements (including some I’ve covered in this podcast, such as Church of the Sojourners, Mark Scandrette, and especially John Hayes and InnerCHANGE), in the ruins of post-Katrina New Orleans, Mike began to experiment in earnest with a model of church that integrates community and mission in a shared, committed way of life. At present, Communitas is comprised of residential communities embedded in three neighborhoods in New Orleans, and a fourth community in Valparaiso, Indiana. Mike is also known to be one heck of a lacrosse coach and is one of the most generous, warm-hearted people you’re likely to meet. In my experience, Communitas typifies a model of church rooted in intentional relationships, with one another and with those in their neighborhoods. On the surface, especially to those of us accustomed to thinking of “church” as something that occurs in a place and time set apart from our ordinary daily round, and “mission” as applied strategies oriented toward re-making others according to our own religious convictions and ideals, this more diffuse, relational model may appear…well, kind of fuzzy. For instance, I spent one afternoon with a community member, Adam, who took me for a tour around town. We eventually settled in for deeper conversation at one of his “ministry spheres,” a local coffee shop. Better than any explanation he provided, simply watching how well he knew customers and employees alike, and how they spontaneously opened to him and shared about their lives, spoke reams of how a missional, communal church functions: real relationships, real caring, solidarity, and a posture of service and investment of one’s life in the lives of one’s neighbors. Whether or not such people choose to join the community for a meal or to pray, they know that the door is open, and are uplifted by authentic friendship. 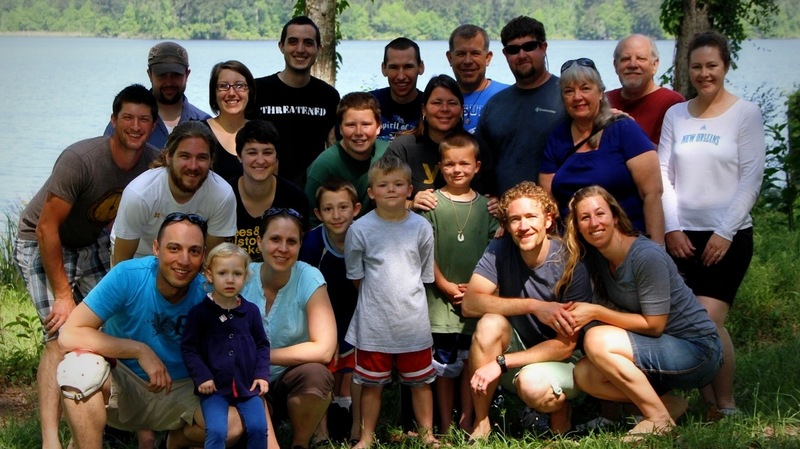 While members of Communitas may also participate in more conventional types of ministry, this overarching relational context renders them uniquely present and available, addressing real-world concerns through concrete relationships with those otherwise unaffiliated with Christian faith. Adam also spoke in some detail of the formation he’s undergone as a member of Communitas, an aspect of their life that seems particularly thorough and well thought out. In fact, Mike attributes his past experiences as an Army officer with teaching him effective practices of formation that engender real transformation. He also draws upon a military analogy to explain the role of new communities and orders like Communitas in the church and world today: in the wake of ineffectual and outdated church structures, these pioneering communities are like the reconnaissance mission that forges ahead, tinkering, experimenting, and developing new systems and infrastructure for churches to come. One concern that Mike brought to me involves finances. While some of the communities I’ve visited manage to meet most or all of their financial needs through support-raising (Servants Vancouver, InnerCHANGE Los Angeles), Communitas members work outside the community at least part-time. While this engenders a certain humility and provides a context for establishing themselves among and serving their neighbors, Mike laments that at present they’re not able to commit themselves fully to the mission to which they feel called, and as a consequence, their time and resources are often stretched to the hilt. Unfortunately, this is an all-too-common challenge among lay intentional communities, with no easy solution. In our conversation, in addition to topics already mentioned, Mike and I discuss the significance of being an order and learning from the classic religious orders; his hopefulness about younger generations; what he sees as the disintegration of Christendom and the opportunity for Christian communities to re-take their place on the margins as a subversive influence; what makes for healthy and unhealthy missional communities; the need for a greater emphasis on contemplative practice; and the satisfaction he takes in the risky venture of coloring outside the lines for the sake of the Kingdom. Typical of the relaxed, relational tone of so much of my experience of New Orleans, Mike and I lingered awhile outdoors over coffee, with a passer-by chiming in at one point, only to return to spontaneously lavish us with several loaves of bread on her next go-round. Other people and resources mentioned in this interview: Stuart Murray; Shane Claiborne’s Irresistible Revolution.